Life changes a lot when you have your first child. Suddenly what you want or need gets pushed down the priority list, and without the proper planning things can get out of hand. The great thing about being a parent today is that you have access to all these great products that make your life so much easier. Imagine waking up in the middle of the night and having to wait for your baby’s bottle to warm up. Pretty annoying, you might think. 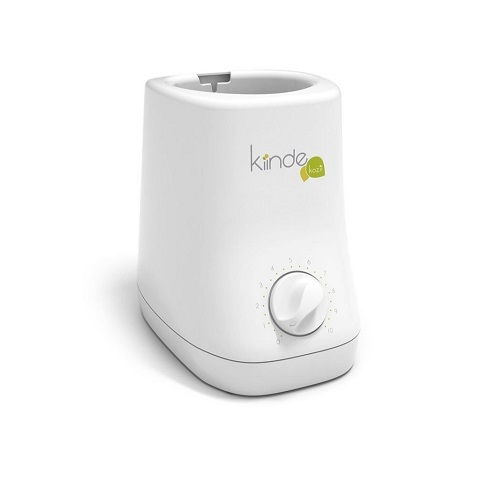 The solution to keeping both you and baby happy, and not developing insomnia is pretty easy and straightforward, buying the best baby bottle warmer that you can find out there. But you can’t be an expert in every field, and nobody is. That’s why we decided to start a research with the mission to find the best baby bottle warmer, so you don’t have to waste the little time that remains after work and taking care of your baby. Of course, you might say it’s not a necessary product, and you might be right. But when thinking about the impact that a product like this can have on the quality of your life, you can easily see why it’s one of the best investments you can make throughout early parenthood. 2 What’s a baby bottle warmer good for? What’s a baby bottle warmer good for? If you have a baby, bottle feeding is probably part of your daily routine. You may have wondered what the best way might be to serve your little one a warm meal. The most common methods of achieving this is by holding the bottle in the sink while running warm water over it, or putting it in a previously boiled up pot with hot water. Both of these methods involve your constant attention, and that can get to be pretty difficult when having to hold your baby. But thanks to today’s technology, all you really need to do is press a button and wait. In a matter of minutes your baby can enjoy his hot meal. Raising kids must have probably been 10x the effort a few generations ago without all these perks. No matter how great this might sound at first, don’t think any bottle warmer will do. There’s still differences between these products that need to be taken into account before deciding on a certain model. 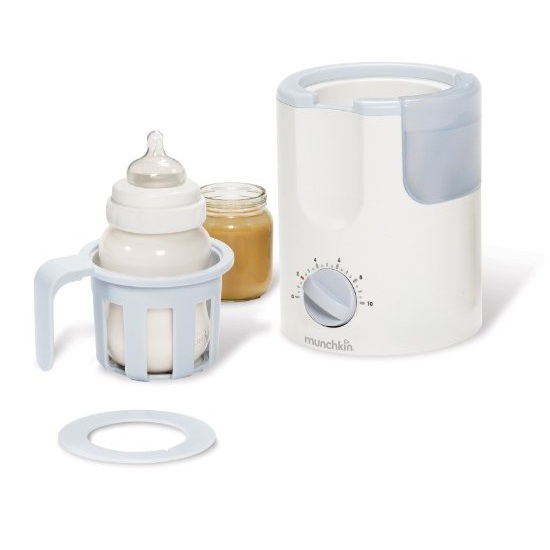 Some of the most important deciding factors, when choosing the best baby bottle warmer, are: health & safety, bottle warming (of course), ease of use and cleaning. Not all bottle warmers are created equal. They use different technologies in warming up baby’s milk. Some use steam and others water baths. 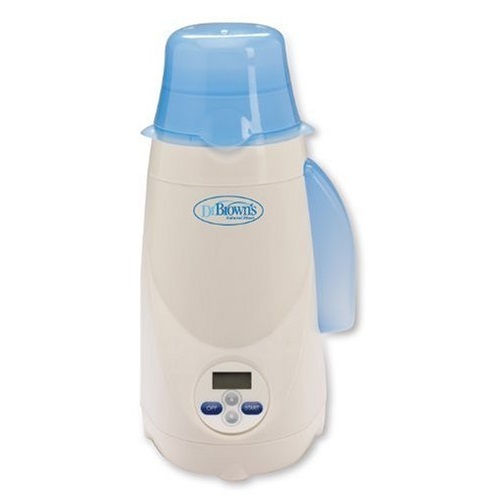 As it turns out, some bottle warmers that use steam to heat up the milk, reach temperatures of up to 199 F (93 C) degrees, which is way to hot, especially for breast milk. Breast milk has the tendency to lose all of its nutritional values when heated up to such high temperatures. It’s recommended you don’t put frozen breast milk directly into steam-based bottle warmers, but first let it in the refrigerator over night, so that it doesn’t need to be exposed for such a long time to those high temperatures. The main purpose of buying a bottle warmer is, you guessed it, comfortably warming up baby’s meal. This is one of the most important deciding factors, maybe the most important, for self-evident reasons. You want to be able to leave the bottle in the machine, take care of baby meanwhile, and return to a perfectly warmed up bottle of milk. Most people think it’s not that big of a deal, but you might be surprised to find that not all bottle warmers are fit for the task. There are 2 scenarios that, according to our opinion disqualify any bottle warmer. First, you return to a burning hot bottle, and second, you have to repeat the cycle a second, and maybe a third time before the milk is at the right temperature. Both scenarios are annoying, but the second is the most annoying of the two, because you have to lose precious time. There are a number of different aspects that fall under this factor. The first one is easily noticeable when you get it out of the box. Some bottle warmers are all in one part (like the Kiinde Kozii) and we appreciate these a lot; others have several parts that need to be put together, complicating the situation right from the start. We feel that you, as a parent of a baby, don’t need any extra complication, especially from a simple product, as a bottle warmer should be. So, a good advice would be to avoid buying a puzzle when you have simpler options available. Another aspect that falls under this category is figuring out warming times. With some products it’s like trying to figure out a treasure map, with others it’s a lot easier. 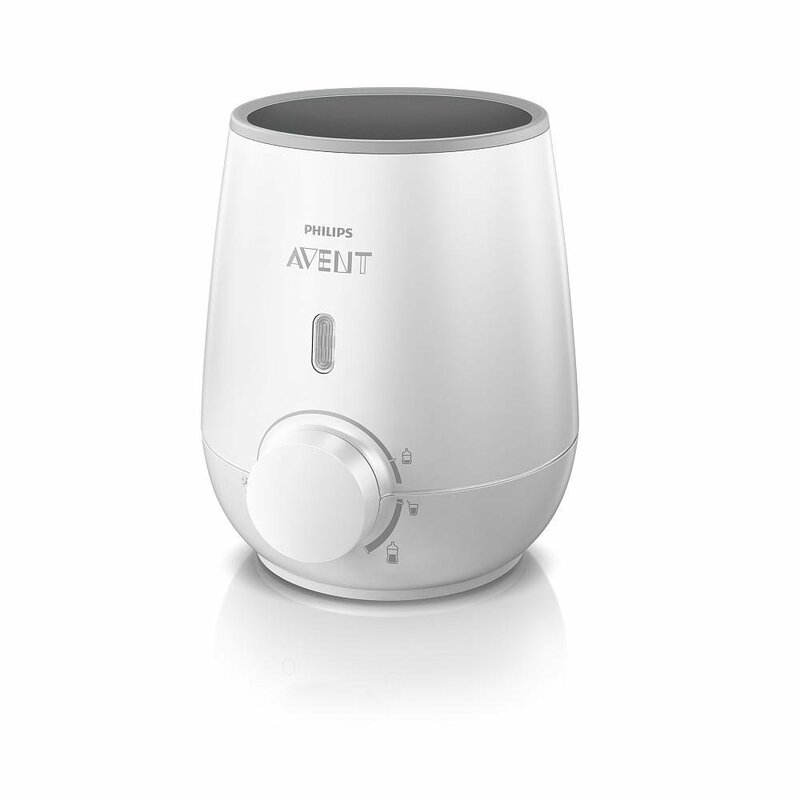 As a general rule of thumb go for easier, especially with simple and straight-forward products such as bottle warmers. 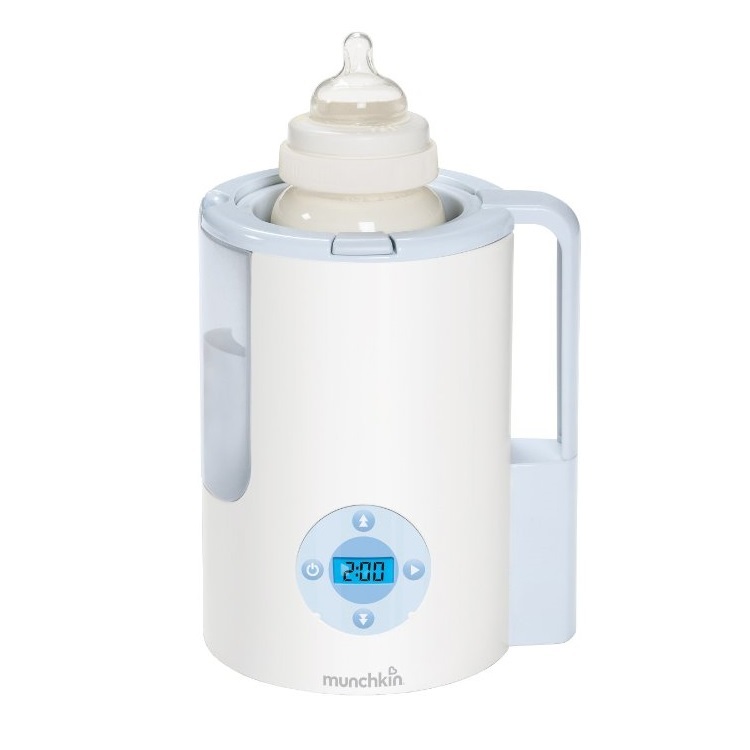 While researching the best bottle warmers out there, a common thing that we encountered is that you will need to test a bit in the beginning, with any product, before you find the exact settings that work best for your baby, on a consistent basis. Making sure that your bottle will actually fit in the bottle warmer you’re about to buy is of utmost importance. You can probably imagine how annoying it could be to lose time searching for a specific product that fits your needs best, and then having to return it because your baby’s bottle will not fit in it. Most are wide enough for your average bottle, but there are certain bottles that are on the wider side, like the Tommee Tippee or the Comotomo, which will not fit well enough in narrower warmers, like Dr. Brown’s. Finally, cleaning is a factor that is not so decisive for products like these, because they don’t get into direct contact with anything that would get them too dirty. But still, any product that gets in contact with water or steam can develop some problems, like mold or limescale build-up. That’s why it’s necessary to do a light clean-up on a regular basis, just to make sure you avoid the aforementioned situations. Some bottle warmers will be easier to clean, some will need more time, but generally, you shouldn’t have too difficult of a time keeping your bottle warmer in a good condition, no matter which model you end up choosing. Safer, easier warming – Creates a flowing warm water bath to quickly and gently thaw and warm breast milk according to CDC and USDA guidance. Long lasting reservoir – Unlike other warmers, Kozii does not require that you measure or add water with each use. Universal warming chamber – Kozii can safely accommodate breast milk, formula, storage bags (frozen or thawed), liner bottles, plastic, glass, food jars, you name it! Product dimensions – 8 x 8 x 6 inches.